Start Gear & Galleries 2D Objects Need a new Display? Smartwatches become suitable for daily use! 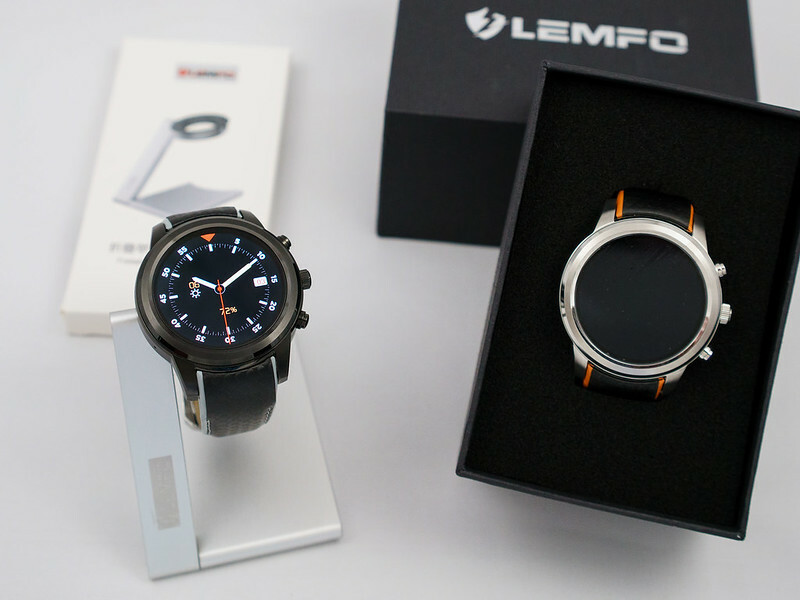 The LEM 5 goes with a classic look with a stainless steel body, leather strap and three physical buttons on the side. It is rated IP55 water proof but not suitable for swimming / diving. It uses Android 5.1 as operating system and a set of preinstalled watch apps like calendar, browser, music player, alarm, sound recorder and several sports & health programs. You can install further watch apps from an app store. In contrast to smartwatches with Android Wear, you can install almost any app you find in Google's Play Store but not all are suitable to be used on such a tiny display. 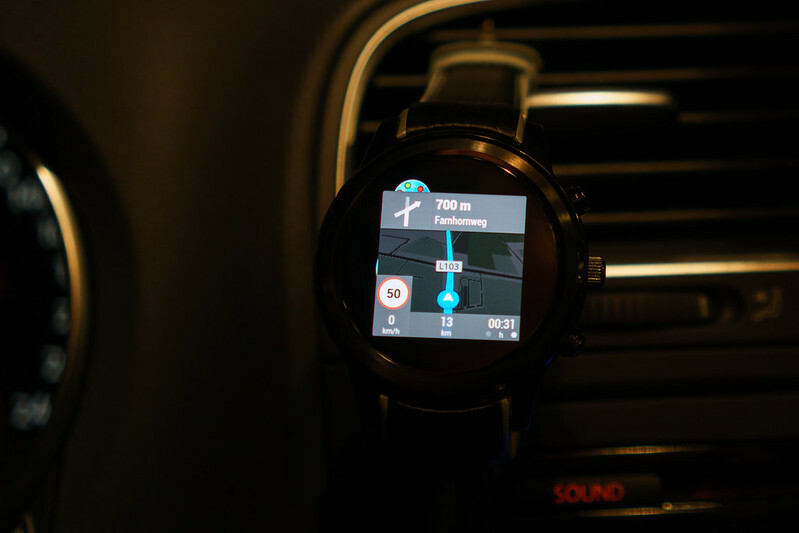 The downside may be that you can not use apps specifically developed for Android Wear but for me the flexibility and openness of Android OS counts more. What makes this watch special is, that it can be used independently without the need of your smartphone. It features a nano SIM slot compatible with GSM and WCDMA network. You can still receive push notifications from your smartphone via Bluetooth. 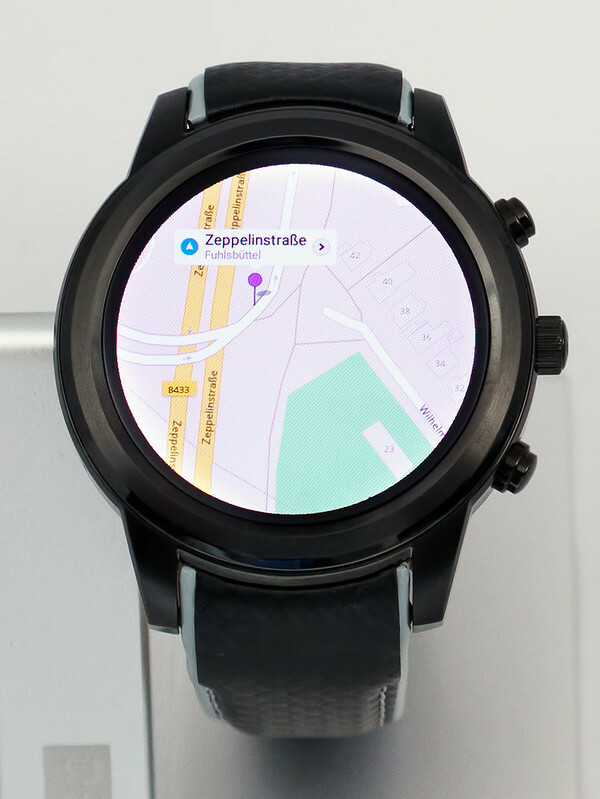 Although jam-packed with features, it is only 12mm thick - similar to other currently popular smartwatches that do not provide a SIM card slot. The OLED display provides extremely high contrast and rich colors but in contrast to LCD displays nothing is visible if the display is switched off. You can switch the display of legacy apps between "full screen" and zoomed mode. In case you use apps with controls outside the circular crop, the zoom mode scales down the app window to fit inside the round watch face. You can load and install Android apps through Android Play Store but I recommend to look first into the watch app store if there are special versions available for that watch. 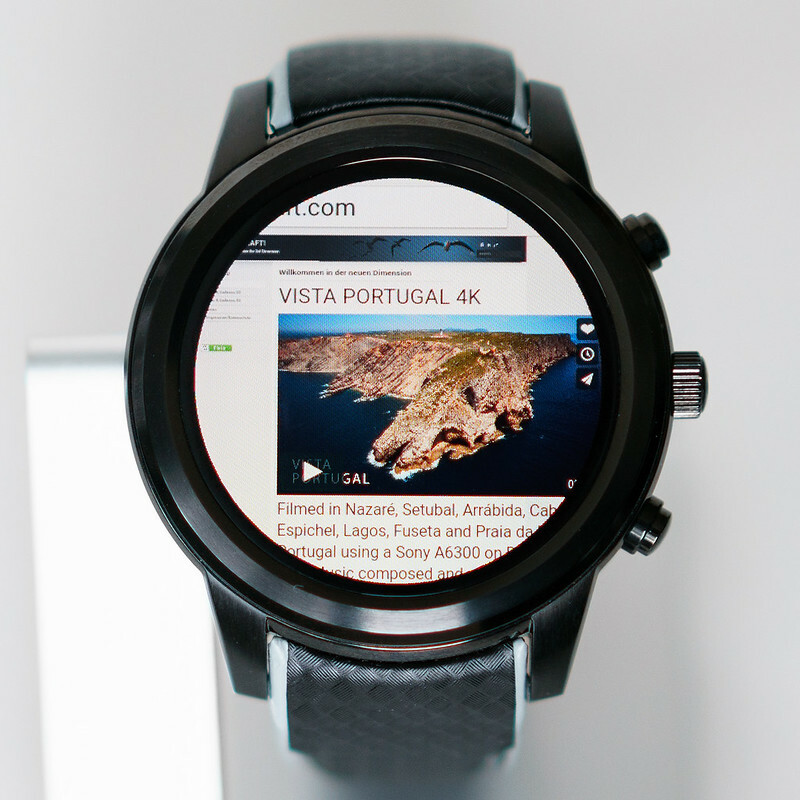 You find watch apps like Skype, Chrome browser, Facebook, WhatsApp, YouTube client etc there. As offline navigation app, I found "Scout" (formerly "Skobbler", based on open street maps) quite useful. Maps can be downloaded free for one country, further maps can be purchased for very fair fees. The map of Germany requires approx 900 MB storage. You can find the app as "GPS navigation & maps" on Play Store or simply search for Scout or Skobbler. You can enable a PIN-based security screen to limit access to the watch but it also protects the standard watch face. I can not imagine that you would like to enter the PIN every time you want to know the current time... So you should consider using a particular user account (with disabled payment function) when using Google apps from the Play Store. This may protect you from larger financial loss in case the watch gets stolen or lost. On some chinese stores you can sometimes find deals for about 110$ (+ import taxes and customs outside China).